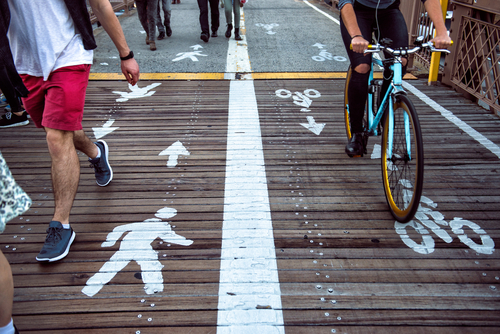 Sound off on the proposed 29th St Bike Walk Boulevard! Church Hill People’s News is working with the Department of Public Works to gather feedback on two projects: the Nine Mile Road Streetscape and the 29th Street Bike Walk Boulevard. On March 13, Councilwoman Cynthia Newbille and Department of Public Works staff held its first public engagement meeting about safety improvements for walking and biking along N 29th Street and Nine Mile Road. These proposed options are focused on slowing vehicle traffic down (making it safer for walkers and bikers), ensuring safe zones for people to cross the street, and bike lane options. Purpose: Improve safety, accessibility, and connectivity along this urban corridor. History/Timeline: City Bike Master Plan in 2015 identified 29th Street for bike walk boulevard improvements. Preliminary design in early 2018. Construction planned for 2019. Improvements at additional locations along Project corridor subject to budget and funding. NOTE: Connections to James River / Virginia Capital Trail via other funded projects. Remember: you can also use the the City’s editable form. Just edit, save, and email it to Jakob.Helmboldt@Richmondgov.com.